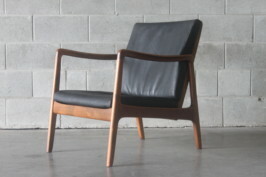 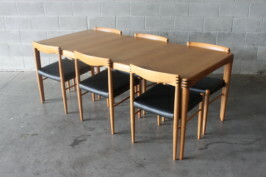 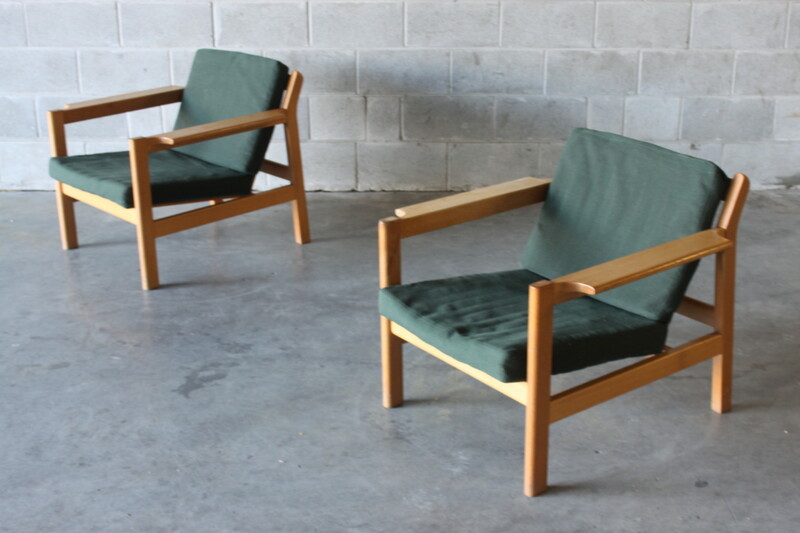 A pair of wing arm easy chairs by danish great Borge Mogensen these are model #2227. 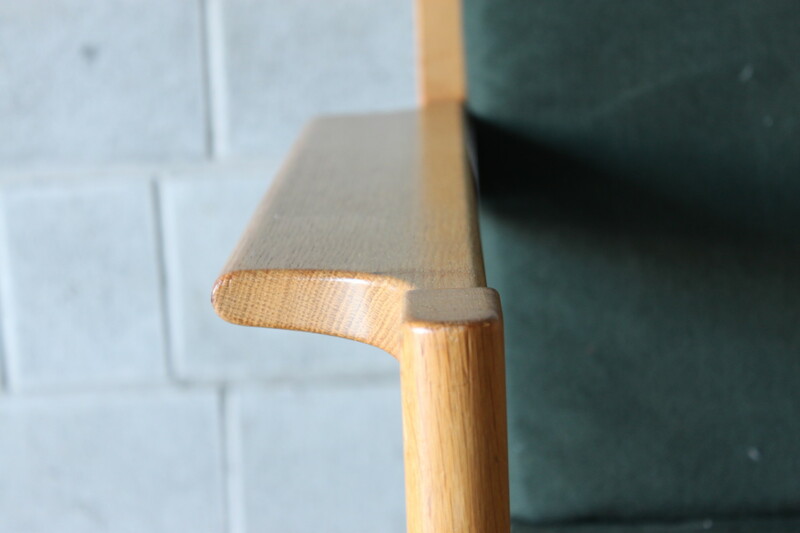 Made of solid oak and build quality is of very high standard. 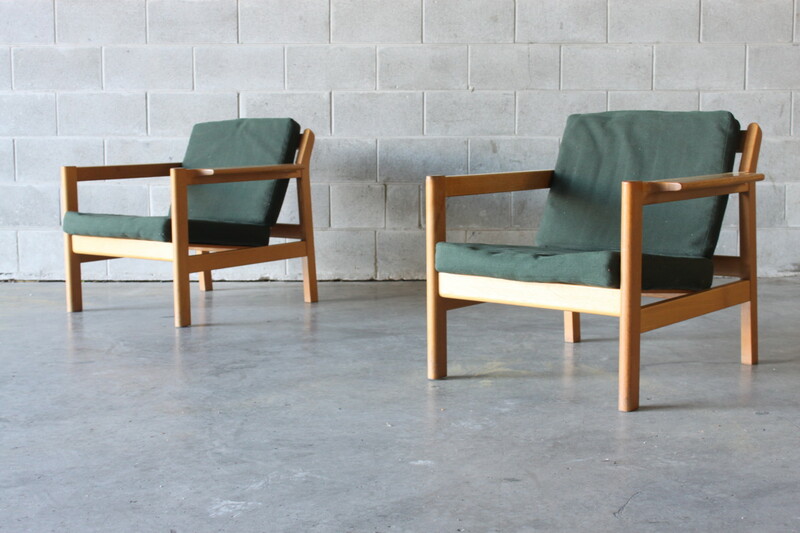 Frame is solid the original danish squabs are retained and are in good condition or they can easily be recovered in the fabric of your choice. 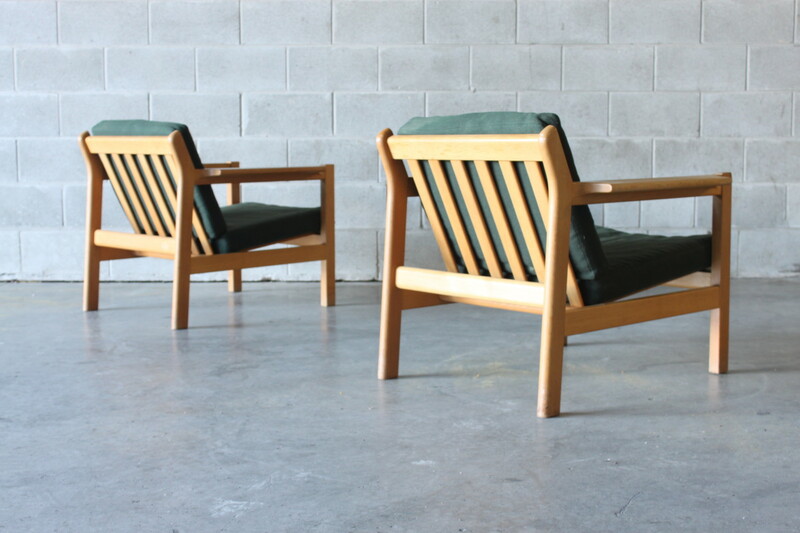 This type of furniture is the type you can enjoy for a lifetime and has a timeless look to it.